The amazing UFO guitarist and keyboardist Paul Raymond unfortunately left us at age of 73 in April 13, 2019 due to a heart attack. 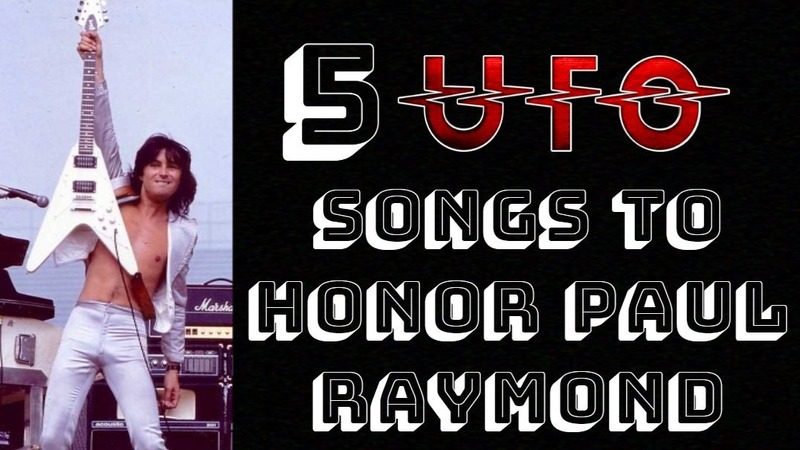 And to honor this amazing musician memory we made a list of 5 great UFO songs to honor his memory. Obsession is the seventh studio album by the British rock band UFO, released in 1978. This was the final studio album to feature Michael Schenker on lead guitar until he returned to the band in 1993. A single from the album, “Only You Can Rock Me” / “Cherry”, was also released in 1978. So too was the band’s first 3-track EP “Only You Can Rock Me”, “Cherry” / “Rock Bottom”, reaching No. 50 in the UK. The album was recorded at an abandoned post office in Los Angeles. The song is from the album Lights Out, the sixth studio album by the British rock band UFO, released in May and also on 11 October 1977 (see 1977 in music). All songs are band originals except for “Alone Again Or” which is a cover of a song by the band Love. Reaching #23 on the Billboard Hot 100, it remains the band’s highest charting album in the United States. The album was UFO’s first to feature lush string arrangements alongside more complex song structures than their previous albums. Producer Ron Nevison brought in Alan McMillan to handle the string and horn arrangements. The most notable song to feature the orchestral coloring was “Love to Love”. Although it is the title track of UFO’s 1976 album, the definitive version of “Lights Out” appears on Strangers In The Night, which is arguably one of the finest live double heavy metal albums ever made. The track was co-written by vocalist Phil Mogg, drummer Andrew Maynard Parker, bass player Pete Way and guitarist Michael Schenker. The live album also features Paul Raymond on keyboards, second guitar and vocals. It was recorded in Chicago. The song is on the album “No Place to Run”, the eighth studio album by the British rock band UFO. It was released in January 1980 (date by official UFO site) by Chrysalis Records. It is the first album to feature Paul Chapman who replaced Michael Schenker on lead guitar. The album was produced by George Martin, best known for his work with The Beatles. The record cover was issued in several different versions in the UK, although the only difference was the colour of the album title. Two singles were released from the album: “Young Blood” and “Letting’ Go”.